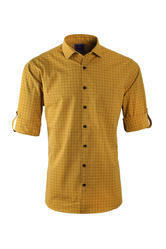 Leading Manufacturer from Chennai, our product range includes Cotton Shirts such as Green Check Trendy Cotton Shirt, Trendy Cotton Shirts, Black and Grey Check Cotton Shirt, Half Sleeve Cotton Shirt, Printed Cotton Shirt, Fabric Cotton Shirts and many more items. 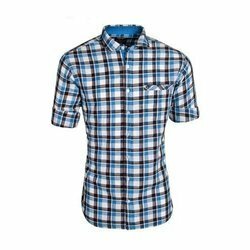 With the help of talented professionals and exceptional technology, we are offering our clients a variety of Blue Checked Cotton Shirt. 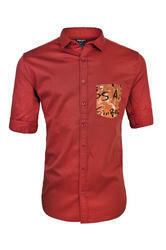 Trendy casual shirts are a fashion essential this season and this uber cool piece is just the right pick. 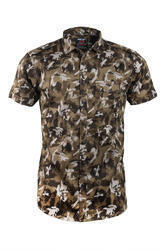 This shirt features full sleeves, camouflage print with a full buttoned chest placket for added ease, back yoke, and a curved hem that completes the look. 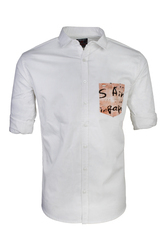 Pair this piece with chinos and loafers for a stylish laid-back look.